We know that there are still lot many people who struggling to get a Jio sim and one of the major reason is that they are unable to generate the barcode on their devices. It is necessary to have a generated barcode on your smartphone in order to get a Jio sim. Basically this barcode is nothing but a mirror of your handset’s IMEI number that allows you to generate the code for one time only. Generally, you can generate the barcode using my Jio app installed in your phone. But lots of issues were found with using that app as Lenovo and Xiamoi users were not able to generate the barcode on their phone. Various other handset brands have been facing the same issue. So, in order to help you out with the barcode generation we have got some really useful tips for you and we believe our tricks will be of great help to you people. This trick is an official method to generate the Jio barcode in your phone. First requirement to avail this trick is you must have a 4G enabled device with you. My Jio app contains 10 applications and now you have to click on Open. After clicking on Open you will find the Get Jio Sim displayed over there. Click on Get Jio Sim option and the next thing you see is your generated barcode. Finally, this is how you earned your barcode and now show this code to any reliance digital store you are surely going to get your Jio sim. This trick is the alternative of trick #1. Use this trick when trick #1 is not working on your phone. · And follow the same procedure like trick#1 that is download all the 10 applications from the Old My Jio apk. · Once you are done with downloading all the 10 apps you are required to clear the data of My Jio app. · Now turn off your internet data. · Next thing you need to do is open the my Jio app and Click Open Button is located beside My Jio. 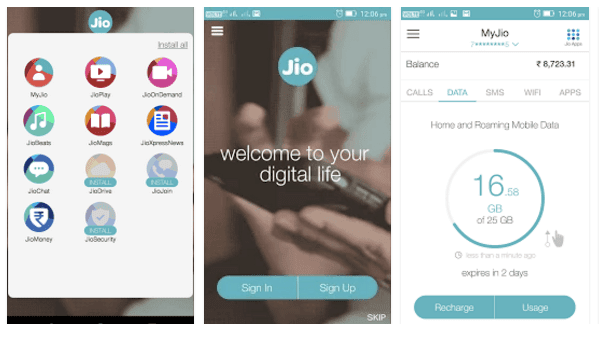 · And finally you can see the” GET JIO SIM” option displayed over there. · Now turn on the internet data and Click on Get Jio Sim option and the next thing you see is your generated barcode. 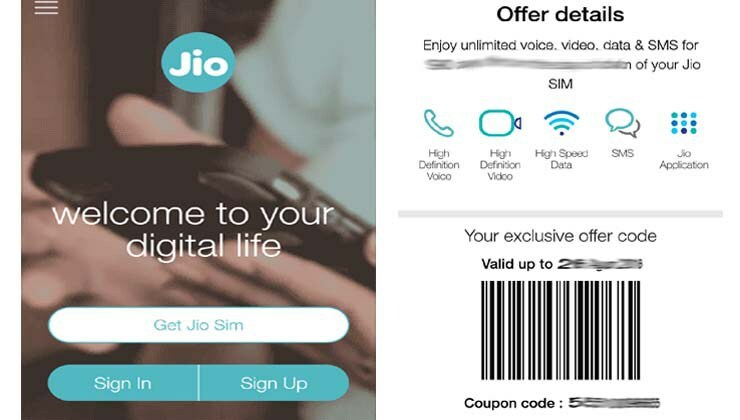 · Finally, this is how you earned your barcode and now show this code to any reliance digital store you are surely going to get your Jio sim. im going to start like same….